A growing number of entrepreneurs are catering to customers willing to pay to escape hijacked airplanes, derailed subway cars and trapped submarines for fun. Escape rooms are adventure games where teams work together to find clues and solve puzzles to escape simulated dangers before time runs out. This originated in Japan and has taken off in the USA. In 2014 there were 22 escape room companies in the USA. That number has grown to 2,000. Mission Escape Games opened in NYC in 2014 and now has 4 other locations attracting 140,000 players in 2017. 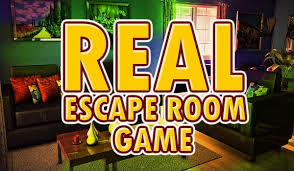 Scott Nickolson, a professor at Wilfrid Laurier University in Ontario, Canada who teaches a course in creating escape rooms, was quoted as saying, “We spend so much time in solitary-based worlds, so it is magical when people from a wide range of ages come together and solve a challenge”. David and Lisa Spira are escape room enthusiasts who review escape rooms around the world for their blog, Room Escape Artist.